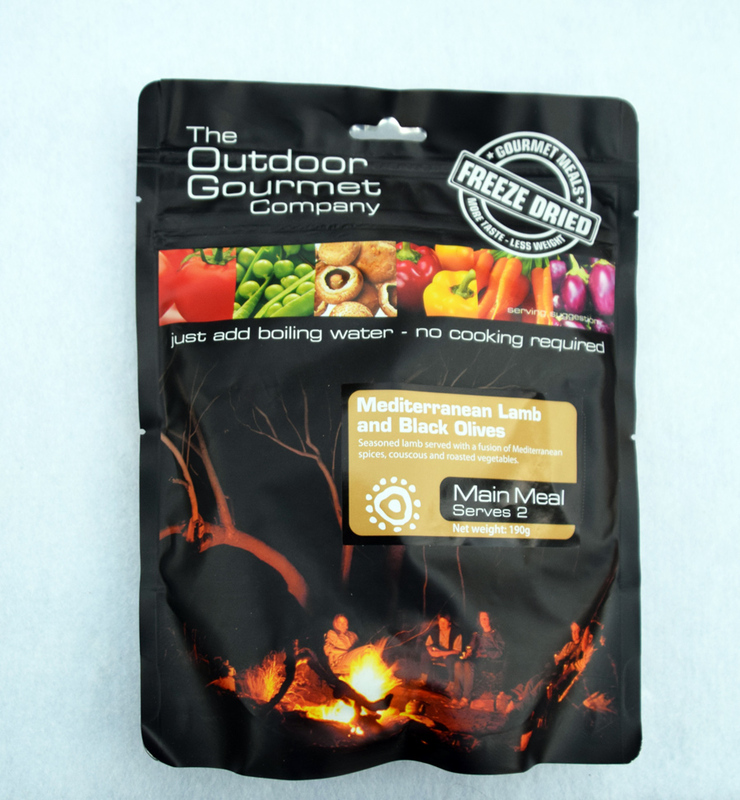 The Outdoor Gourmet Company provides dehydrated / freeze dried meals to the Australian market. As far as commercially preprepared meals go and as the name suggests, they are a high end, high taste product. I’m a big fan of nearly all the Outdoor Gourmet Company meals and while I will very happily eat any of them I have my favourites. Lets start with taste. The Mediterranean Lamb and Black Olives, packs plenty of flavour which comes from the large chunks of real food you will quickly notice when you open the bag. As flavourful as this meal option is, it does this without going heavy on the spices. I’m a spice lover but many of my friends aren’t so this is a great option if you like tasty food without the heat. As much as I love rice it causes me digestive issues so the fact that this is a couscous based meal is something that I greatly appreciate. The chunks of meat and vegetables in this meal are very recognisable which is always a bonus. Unlike other companies, Outdoor Gourmet focuses on providing meals for two. These meals are larger than their competitor’s offerings (produced by the same company) by approximately 8-9% which doesn’t sound like much but does help to explain the premium price. I’m a big eater but after a two week long trip I am looking for extra food so will often throw in twin serve meals to satiate my hunger. 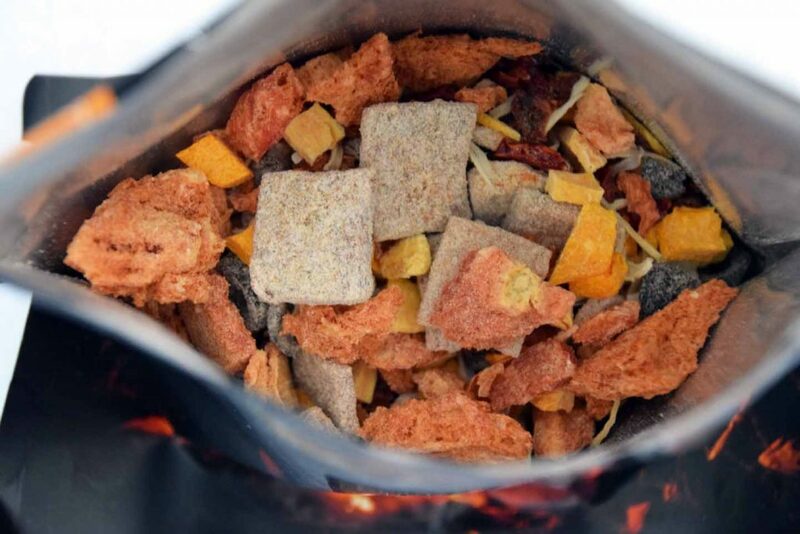 The obvious negative with any freeze dried meals, and in particular with Outdoor Gourmet offerings is the price. The normal price sits around the $16 mark and at about $8.00 per person that isn’t cheap. Having said that, the products do have a long shelf life so you can stock up during the regular sales at the outdoor stores. The argument that many offer against using commercially prepared meals is that you can prepare meals more cheaply in your own kitchen. While this may be the case if you make meals in bulk, unless you are a good cook the quality is often not as good. 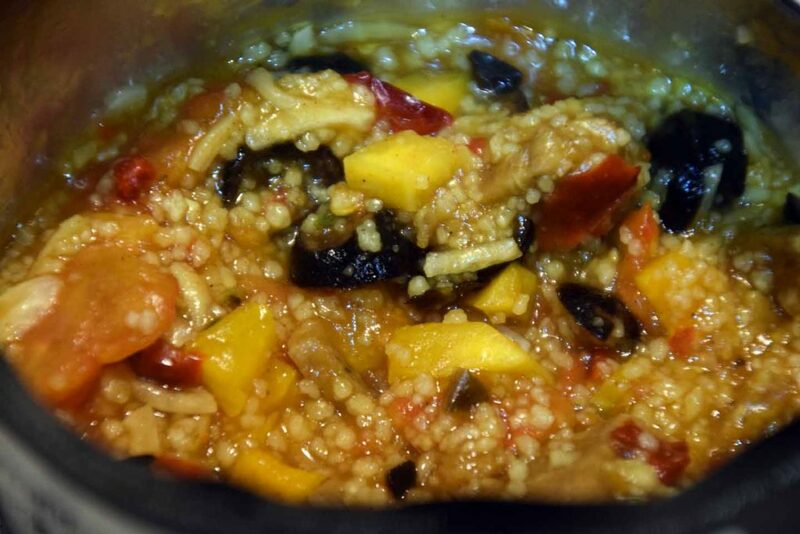 I love to cook but there are other activities (such as hiking!) to which I would rather devote my time. These meals are very easy to prepare and as long as you can boil water then you are set with preparation time requiring only ten minutes. I have yet to use cold water (and there is no reason why you can’t) however you would need to allow more time (a couple of hours to be ready for eating). The meal comes in a bag that is well designed and the bottom opens out to provide a flat base for those minimalists who want to leave the bowl at home. 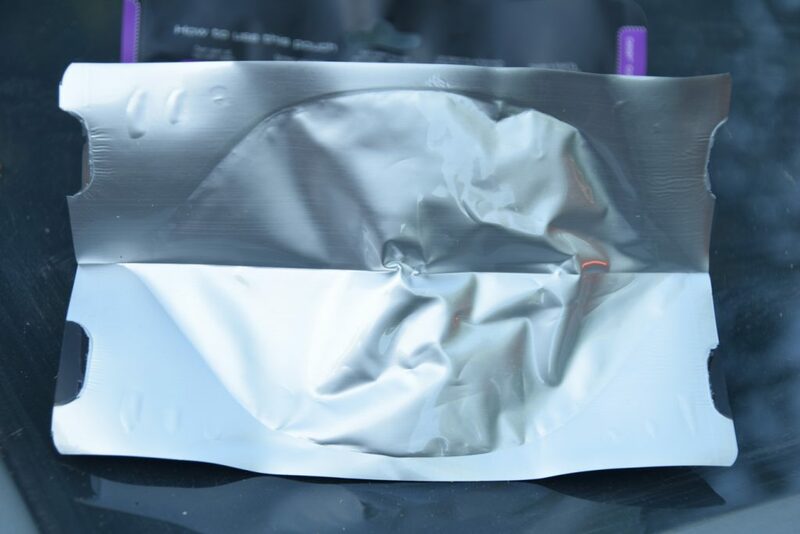 The option exists to tear the top off the bag to allow easy access to the food but you if you have a long handled spoon you won’t need to tear the bag. My other reason for not tearing the top off the bag is that you minimise any mess and after you’re done, you can re-zip the zip lock. The Outdoor Gourmet Mediterranean Lamb and Black Olives is a great meal option that has plenty of taste with minimal spiciness so will please everyone.